The VID-200-L06 is a combined GPU and memory cooler for high-end video cooling. It is designed for GeForce 7800, 7900GTX, 7950GT, and Radeon X1800/1900/1950 series video cards, in AGP, PCI-Express, and dual video configurations (compatibility link below). The VID-200-L06 will also work on most GT, LE, Ultra, GS, and XT versions of the 6800. Please note the VID-200-L06 will not work with regular GeForce 6800, or 7800GS card. Installation is simple, with 360-degree rotational fittings and a tool-less mounting bracket. 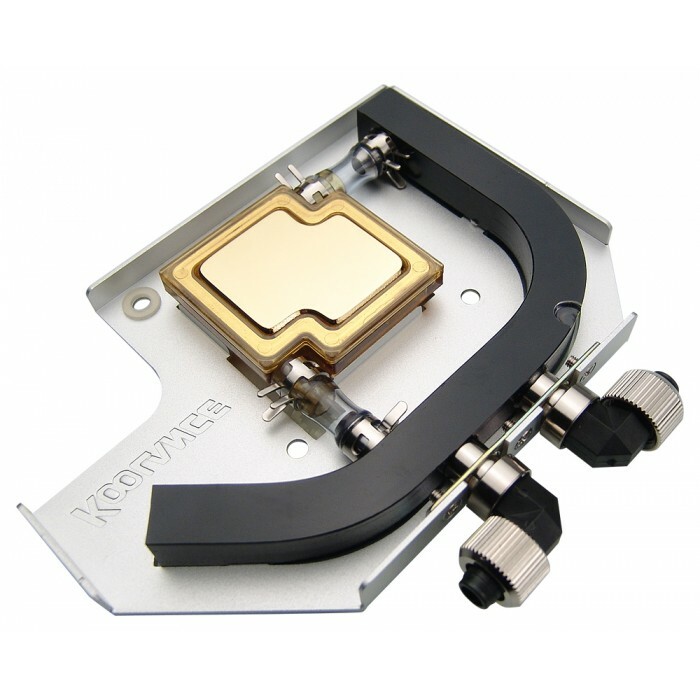 The VID-200-L06 combines a gold-plated high density solid copper chipset cooler, and anodized aluminum memory cooler. NOTE: If there are rear memory modules on your card, the original heat spreader can be kept (attached with thermal tape or adhesive, if not screws). 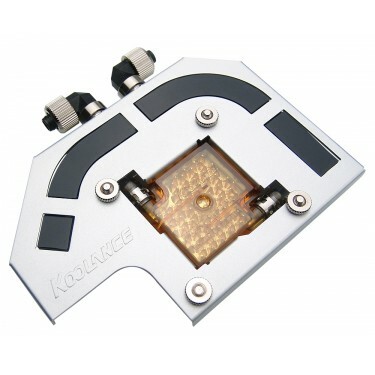 Otherwise, additional self-adhesive video RAM heat sinks are available from Koolance.